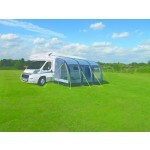 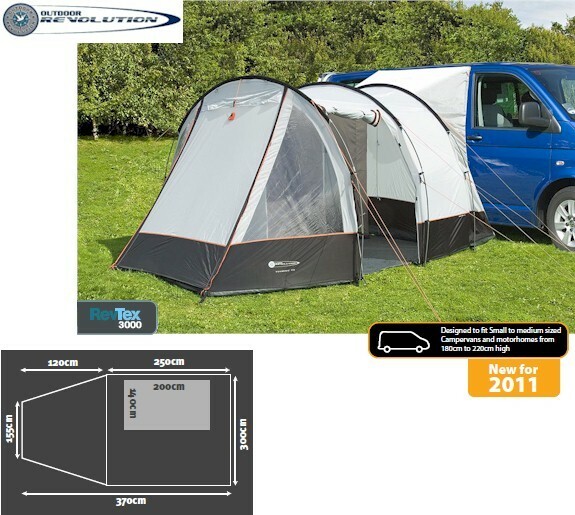 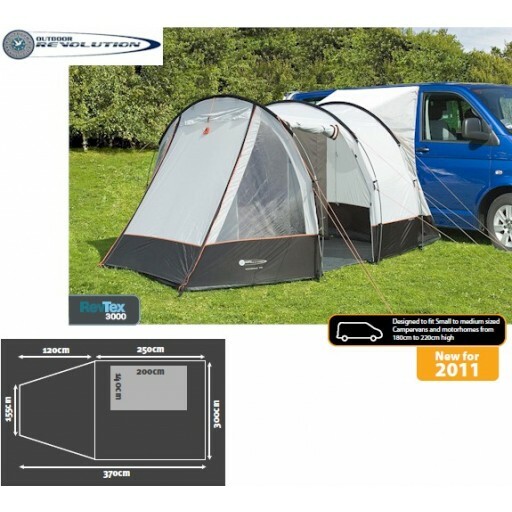 The Touring TX is a simple (missed a lot of school) new awning for low level camper vans, that can be constructed like a tunnel tent with a 3-pole construction (all poles the same length for ease of erection) and so can be assembled in minutes. 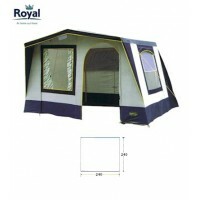 The awning features a side 'J' door and a front door opening. 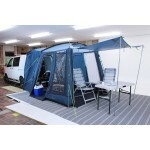 This fibreglass framed drive-away awning features attachment points for a two-berth awning (which can be purchased as an optional extra) a fibreglass frame and a 190T PU coated polyester flysheet with 2000mm hydrostatic head protection. 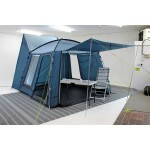 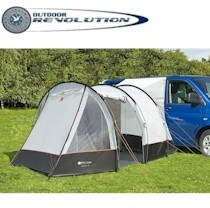 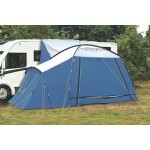 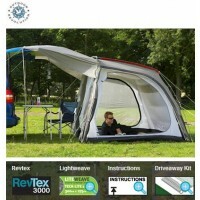 Outdoor Revolution Touring TX Drive Away Awning.